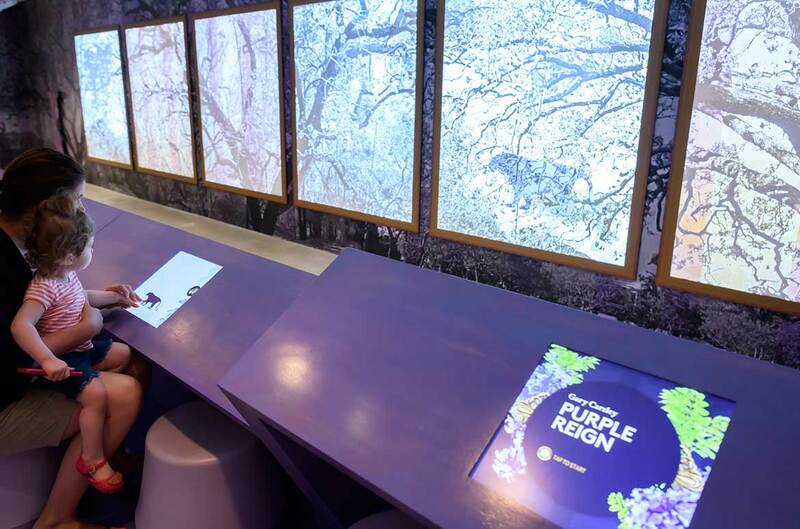 ‘Purple Reign’ is an immersive secret garden populated with images of jacarandas and interactive experiences by Australian artist Gary Carsley. 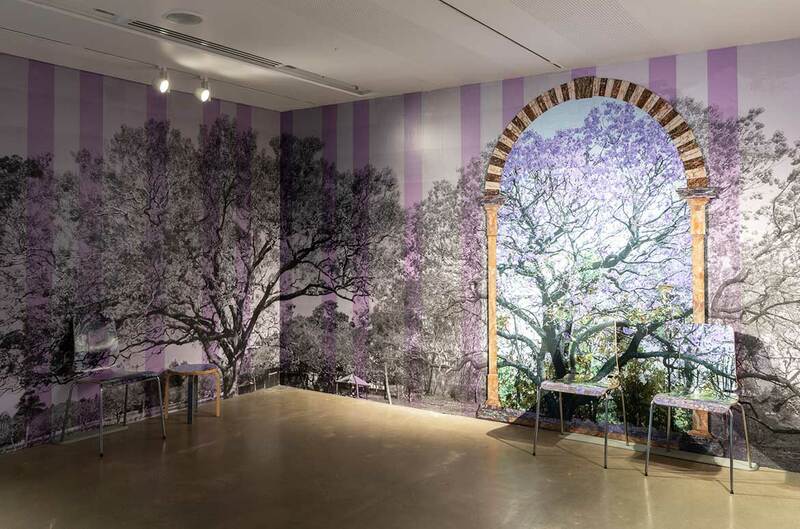 ‘Purple Reign’ coincides with the jacarandas coming into bloom in Brisbane, and is one of a series of eight artist-led projects to be presented as part of ‘The 9th Asia Pacific Triennial of Contemporary Art’ (APT9) until 28 April 2019. 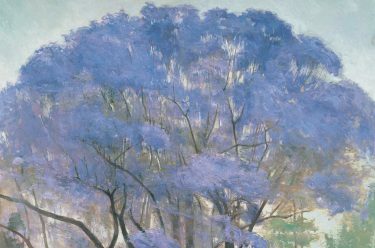 On display within ‘Purple Reign’ is the inspiration for the project, the iconic painting from the Gallery’s Collection, Under the jacaranda 1903 by Queensland artist R Godfrey Rivers. 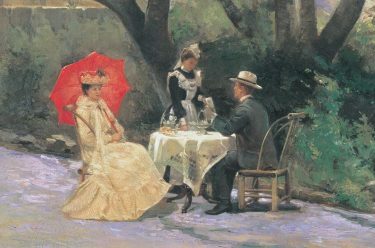 In the painting a couple enjoy afternoon tea while seated in Brisbane’s Botanic Gardens under a mature jacaranda tree in full, violet-coloured bloom. The tree was blown over by a cyclone in 1979, but many jacarandas now growing in Brisbane are from the seeds and cuttings of this first jacaranda. 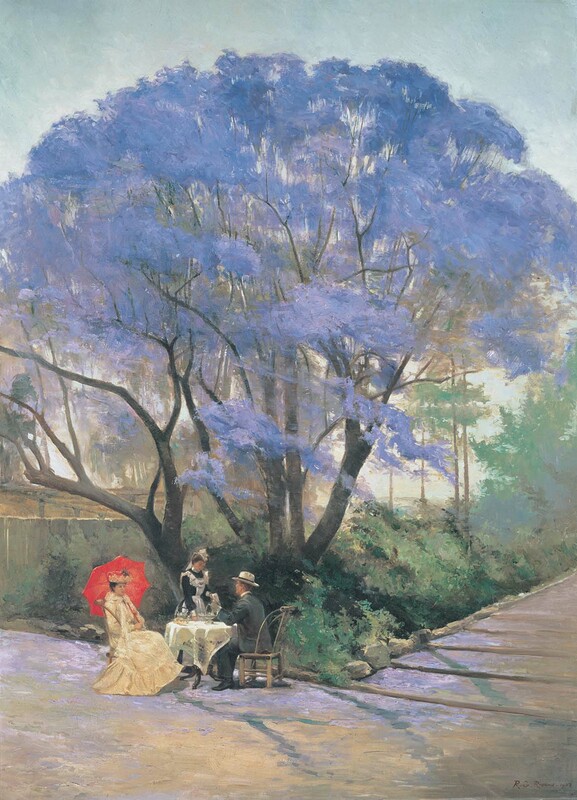 Under the jacaranda features Godfrey Rivers’ wife Selina Jane and the painting depicts the couple being served afternoon refreshments in the shade of the flowering tree. The large oil on canvas entered the Queensland Art Gallery Collection in 1903, the year it was painted, and remains one of the Gallery’s iconic artworks. As hinted by its title, ‘Purple Reign’ encourages us to reflect on the jacaranda’s presence and influence, which has spread far and wide since it was first introduced to Australia in 1864. Originally from South America, this once exotic species is now a much beloved feature of our landscape, with its lilac blooms annually carpeting Australia’s eastern coastline. 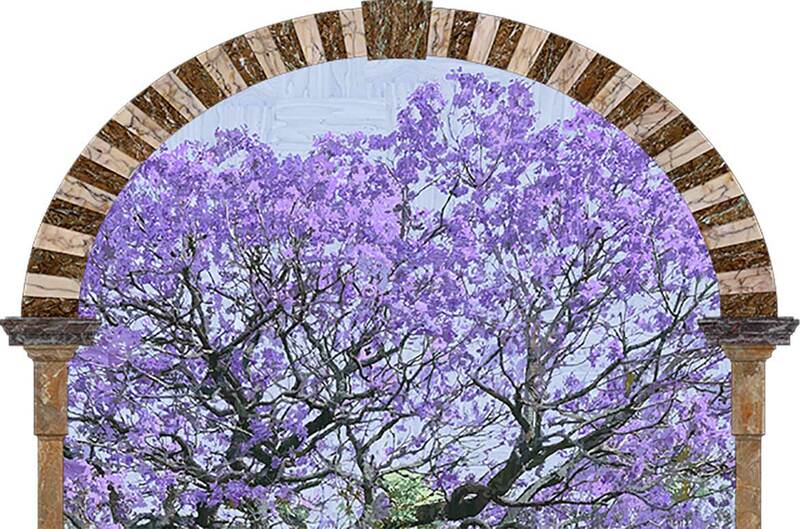 ‘Purple Reign’ is a ‘secret garden’ brimming with images of the iconic jacaranda. 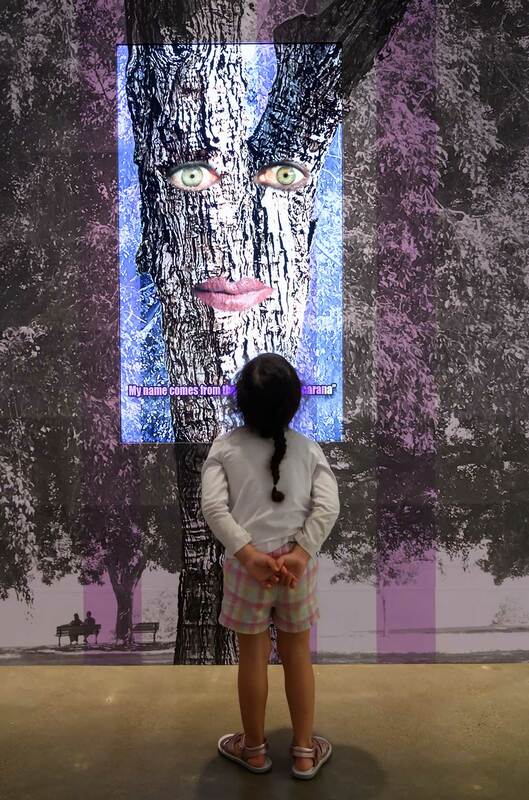 The photographs of jacaranda trees installed floor-to-ceiling in the installation have been taken by Carsley in Australia and as far afield as Chile, Vietnam, India and South Africa, creating a composite landscape of trees from throughout the colonised world. Re-enact the scene from Under the jacaranda in a stage-like tableau positioned opposite the painting — a perfect location for a selfie. By taking a picture and posting it online, contribute to a new kind of propagation of the jacaranda, while also acknowledging and reshaping its history. 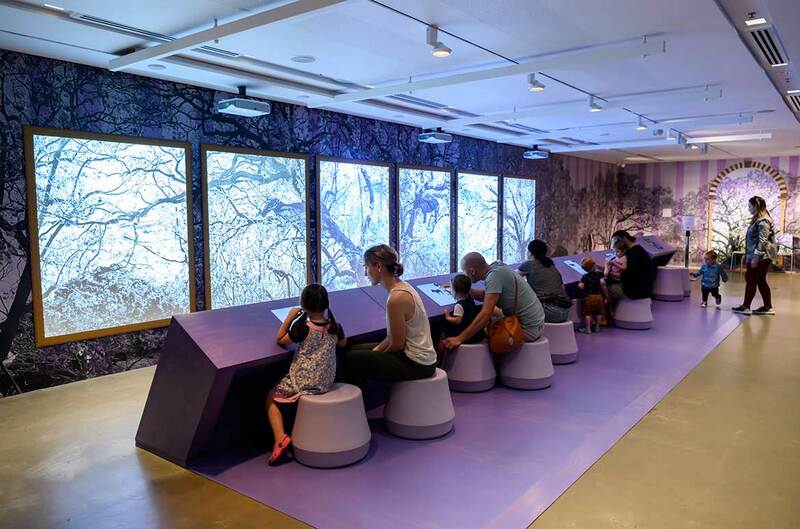 Also within the space, a touchscreen activity invites you to interact with six animal species that have become extinct due to changes in their habitats. APT9 Kids encourages young visitors and their families to creatively engage with contemporary artists’ ideas through special interactive projects from Iraq (Sadik Kwaish Alfraji), the Autonomous Region of Bougainville (Pauline Kimei Anis), the Philippines (Nona Garcia), Thailand (Jakkai Siributr), Taipei (Joyce Ho), New Zealand (Jeff Smith) and Australia (Vincent Namatjira and Gary Carsley). APT9 Kids is proudly supported by Principal Benefactor the Tim Fairfax Family Foundation.